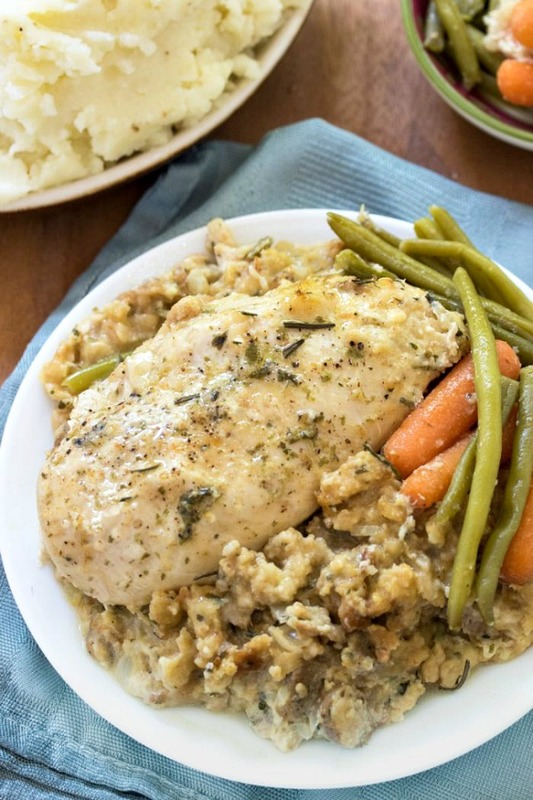 Boneless Skinless Chicken Breast recipes are featured as part of our Weekly Meal Plan with printable menus available for you to customize for your family’s dinner. Happy Monday Morning! 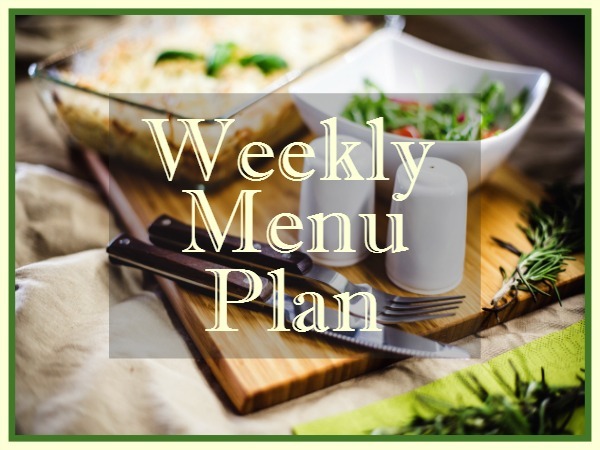 Are you ready to see what’s on this week’s menu plan? 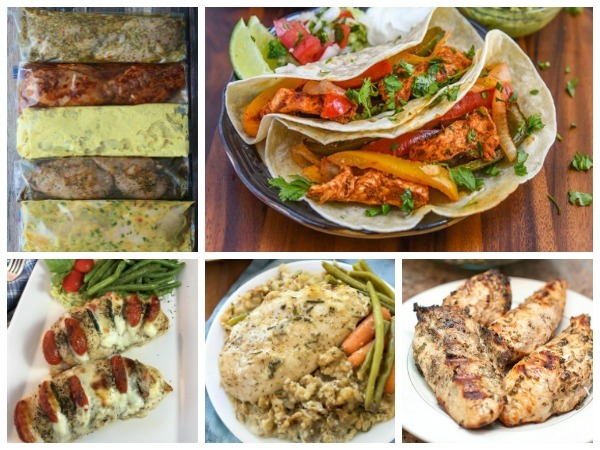 I have FIVE delicious boneless skinless chicken breast recipes for you to choose for dinner this week. Yes, these recipes are not your usual chicken recipe which can sometimes be boring. I hope you all had a great weekend. Ours was really nice…just a little too warm. We tried to do some cleanup outside in the garden but the weather made it almost impossible. My hubby helped me refinish two projects for the house…a rustic toaster oven cover and then a small end table that I’m now using on the landing in our staircase. It looks really nice. The toaster oven cover is really a brown box that I wanted to lighten up and I think it’s still a work-in-progress. I think we may have lightened it too much. If that even makes sense! Perfect for dinner this week! 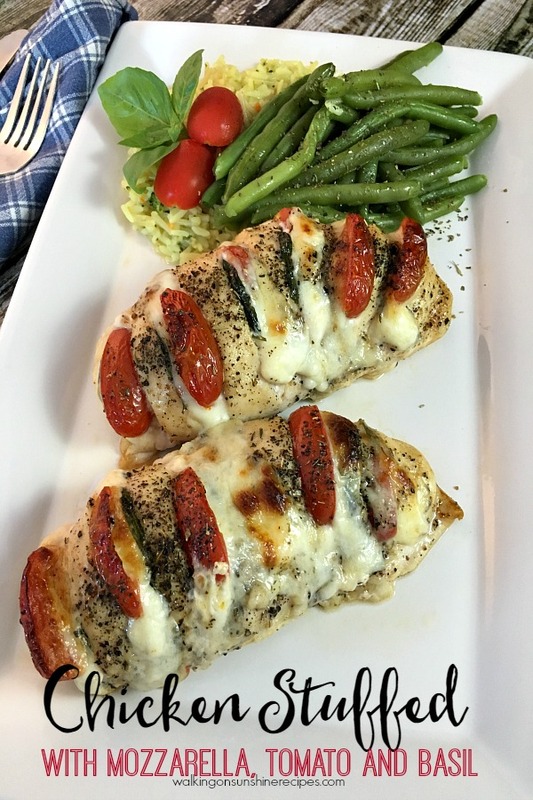 Hasselback Chicken Stuffed with Mozzarella, Basil and Tomato .This has been the #1 recipe on the blog for over a year and for a good reason. It’s easy to make and makes such a beautiful presentation. Your family is going to love it for dinner. There’s a VIDEO too showing you how easy it is to prepare! 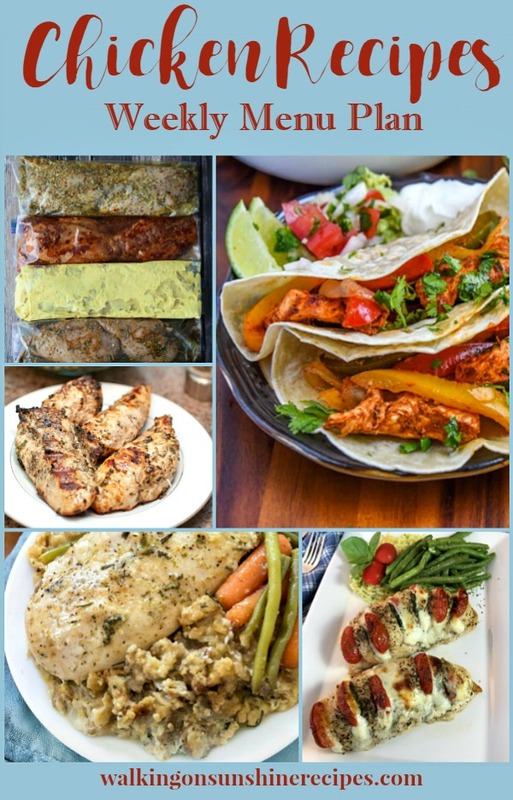 Baked Chicken Fajita Recipe from Courtney’s Sweets. 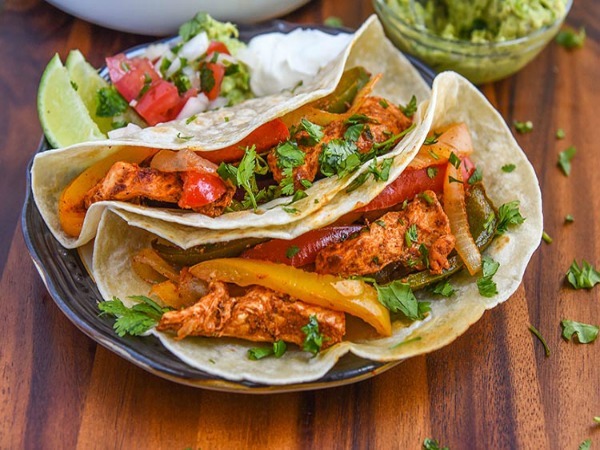 A twist on Taco Tuesday with these yummy baked chicken fajitas. I am making THIS recipe tonight. I’ll let you know how it turns out! 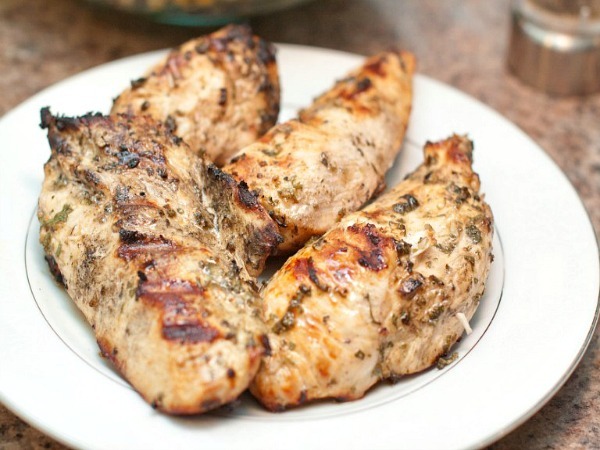 Grilled Marinated Chicken Breasts from Abbey’s Kitchen – I love these different marinades! 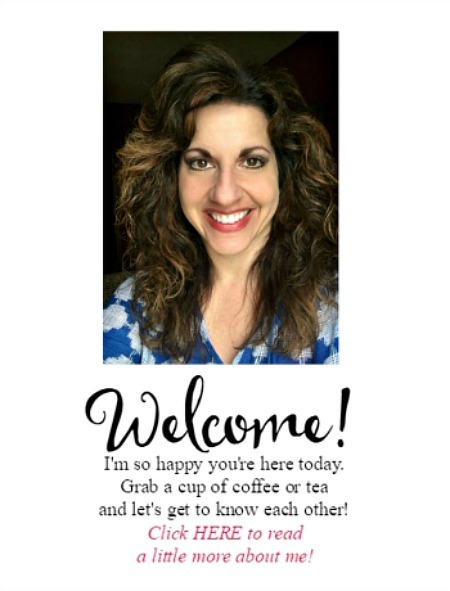 Head on over to Abbey’s Kitchen to print out the recipe card with the recipes. Mediterranean Grilled Chicken from Served from Scratch – all you need is a salad and maybe a baked potato and dinner is done. I would make extra so you have it as leftovers for quesadillias! 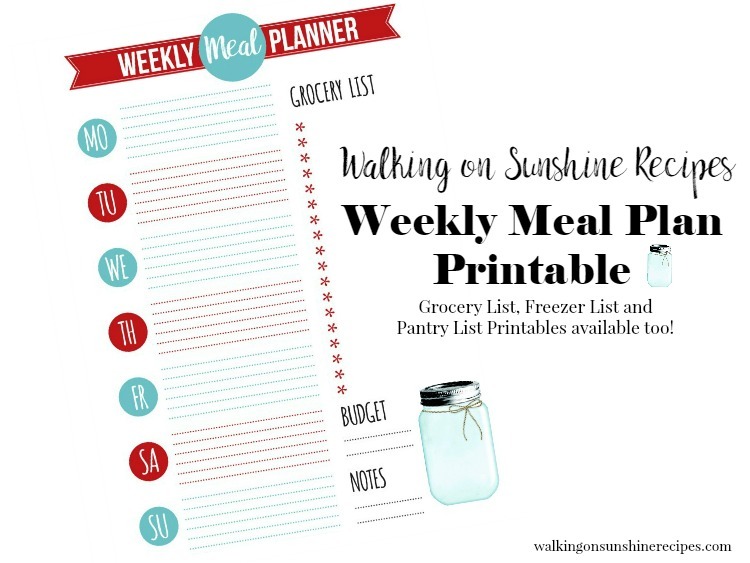 Make sure you check out the other Weekly Meal Plans featured on Walking on Sunshine Recipes by clicking HERE or the photos below.